Janaki, Co-founder, executive director and principal instructor of the Woodbury Meditation & Yoga Center, presents seminars on Hatha Yoga, Meditation, Stress Management, Death and Dying/Life and Living, Elementary Sanskrit, and Thinking Into Being: Creating Your Own Reality. Ms. Pierson has been teaching meditation for over 38 years and has been established in her own daily practice for 43 years. 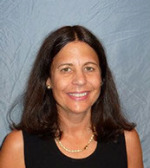 She teaches extensively throughout New England and New York in medical, educational, corporate, and community settings. Janaki received Hatha Yoga Teacher Certification from the Siddha Yoga Dham of America in 1982. For the most of the past 15 years, she has been spending 6 weeks each winter in India, either at an ayurvedic clinic or doing spiritual practices on the banks of the holy Narmada river in Gujarat, India. Inner Peace is World Peace. Hilde has been a part of the WYC community for over 15 years. Since completing her Hatha Yoga Teacher Training at WYC and has also attended numerous workshops at Kripalu and Omega Center. In 2004 she received her certification as a natural childbirth pregnancy yoga instructor from Kripalu. In her regular classes Hilde teaches traditional hatha yoga, focusing on basic postures, breathing, gentle opening, deep closing relaxation, and ending with a brief deep stillness for meditation. She tailors each class to the level of the students participating: sometimes strengthening and vigorous, sometimes gentle and restorative, always attentive, present and accepting. Diane Scuteri has studied and practiced Hatha Yoga since 1987. After completing a teacher's training course at the Woodbury Yoga Center she began teaching in 1995. She has continued her studies and completed a 200RYT teacher training program in 2009 and is now certified with the Yoga Alliance Association. Diane teaches Traditional Style Hatha Yoga bringing together the integration of asanas and breathwork, This system of integration brings to the practitioner a deep release of muscular tension and increases energy flow for an experience of complete relaxation balancing the body and mind. All levels welcome. Laura received her Yoga Teacher Certification from Kripalu in June 2002. She has been practicing for 25 years. She has a special interest in teaching children. Their ever present, unique and authentic spirit serves as a reminder that yoga can bring us "home" to that true being. So often children are told to calm down and relax, yet they aren't taught how to. Through yoga children learn to develop coordination, healthy habits and coping mechanisms. Ms. McEvoy regularly attends workshops at Kripalu. She has been the recipient of various diversity grants providing Yoga instruction to economically disadvantaged children in various urban settings. Her work with children of diverse cultural background has been recognized in the KYTA Yoga Bulletin and the National Tides Foundation Publication. She holds an Elementary School Teacher Certification and Masters Degree in Counseling. She recognizes student-learning styles and teaches postures and relaxation techniques in a variety of ways. On the other end of the spectrum, Laura also greatly enjoys teaching floor and chair yoga to seniors. Sara began her yoga practice almost 30 years ago with an Iyengar instructor in 1988. After moving to CT in 1996, she discovered Woodbury Meditation & Yoga Center and immediately felt at home here. Sara completed Yoga teacher training with Kripalu in March 2013. She incorporates yoga and meditation into her work as a Licensed Clinical Social Worker. With every class Elora teaches, she brings with her the tools to help others, to offer them a safe haven where they can be themselves, quiet their minds and heal their bodies. Whether she’s speeding things up in Ashtanga and Core Vinyasa or slowing things down in Hatha Flow and Restorative, whether it’s a full class or one-on-one…her intention is always the same; to provide a positive, light-hearted experience and guide people into a better understanding of their whole being. Elora wishes to give every student the tools that have been passed down to her and many others; to help each of us live longer, fuller, and healthier lives. Her greatest hope is for you to find joy, to release old negative energy and to breathe- to breathe fully and deeply. A lifelong athlete and equestrian, and a dancer in her younger years, Nina was first exposed to yoga and eastern philosophy during college. Nina had the unique opportunity to practice and perform Bharatanatyam, the classical dance of south India, as student at Skidmore College. Nearly fifteen years later, Nina returned to yoga and meditation classes in an attempt to better manage the stresses of a demanding career, chronic health problems, and other life changes. Nina found in her yoga and meditation practice the means to improved health, increased stamina and emotional resilience, better stress management, and an added bonus of better body awareness, flexibility, strength and confidence that drastically improved her equestrian and other athletic skills. The stillness, spirituality and deepening of the mind-body-spirit connection drew Nina back to into a regular yoga practice, and eventually inspired her to become a yoga teacher. Nina completed her 200-Hour Yoga Alliance teacher training in 2017 at Bloom Yoga and Wellness in Southington, CT. Nina enjoys helping her students to cultivate a greater attitude of mindfulness, happiness and body awareness in her classes. Nina currently teaches Hatha, Gentle Hatha, Vinyasa, Beginner and Chair Yoga classes. Lisa Mahon attended her first yoga class in 1991 at WYC and has been practicing various forms of yoga on and off the mat since then. She became a certified Kripalu Yoga Teacher in 1995 and continues to attend advanced training workshops through Kripalu, Omega and Sanctuary Power Yoga. While her classes focus on physical alignment, core strengthening and coordinated breathwork, the true essence of each class is for every student to discover the physical, mental and emotional possibilities of being in the present moment. She is currently finishing a degree in Exercise Science and Wellness. Sean Weir draws on the teachings of Mindful Yoga Therapy, Yoga for Recovery (Y-12 SR), and 108 Monkeys Yoga for urban youth and underserved communities teacher trainings, and is particularly grateful for each opportunity to share these practices with the community.